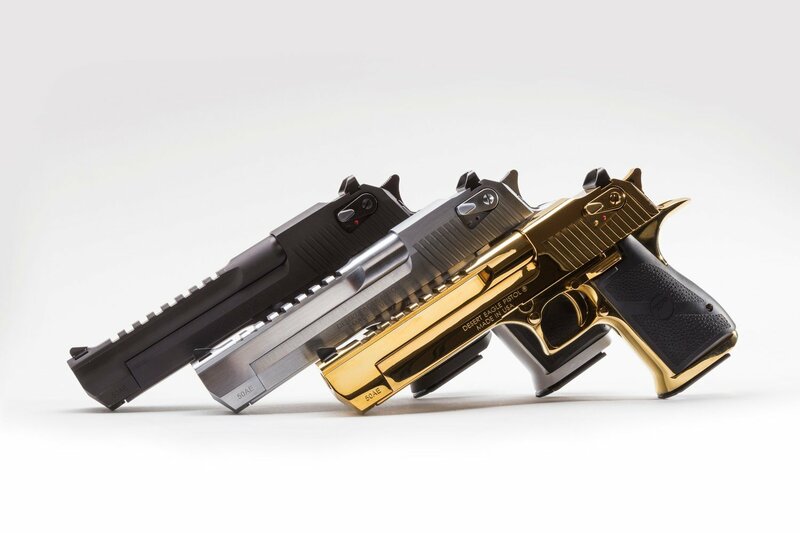 After 25 years of being accessorized, customized and re-imagined in countless movies, television shows and video games, the Desert Eagle® Pistol has emerged as a pop-culture icon. 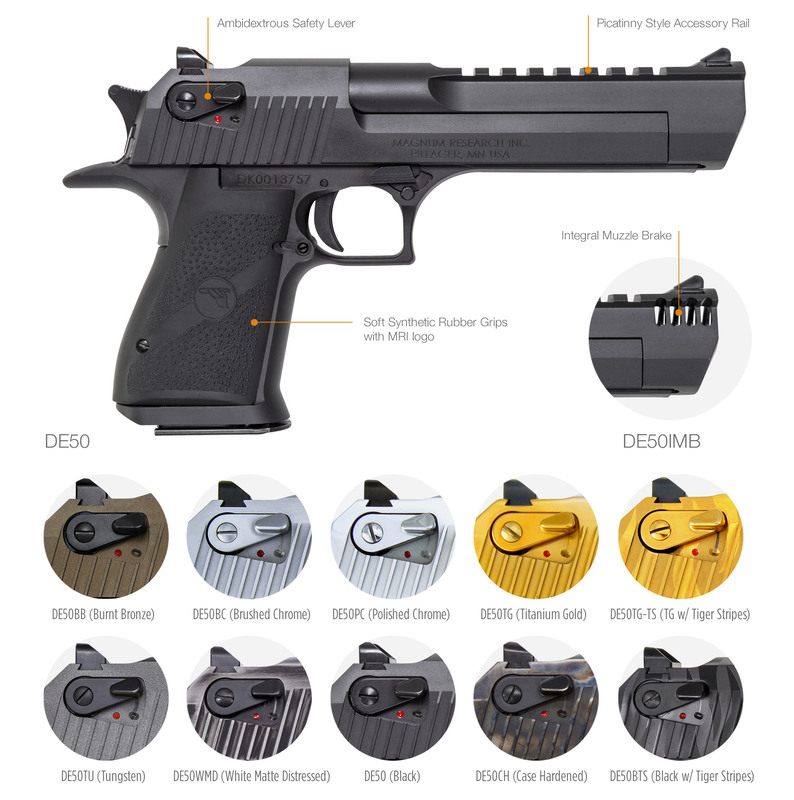 You can customize your Desert Eagle Pistol with a variety of impressive finishes to add your own distinctive twist to this timeless firearm. 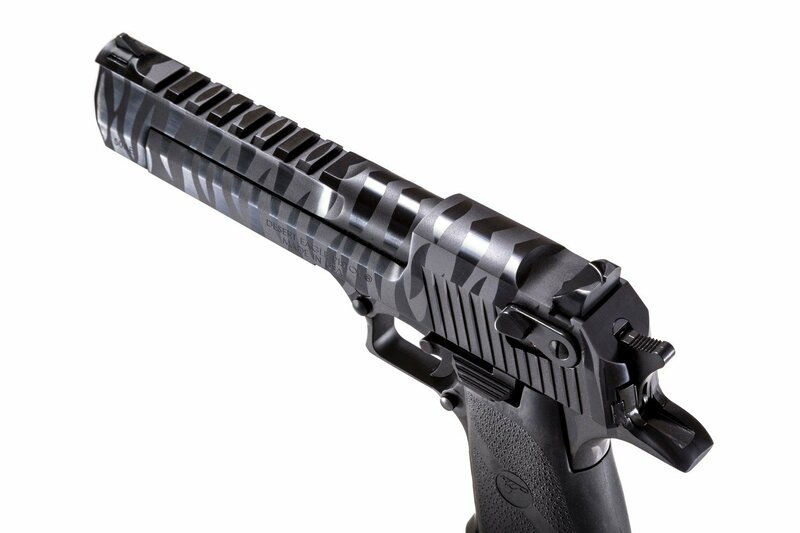 All models feature a full picatinny style accessory rail on the barrel from the end of the chamber to right behind the front sight and standard ambidextrous safeties. 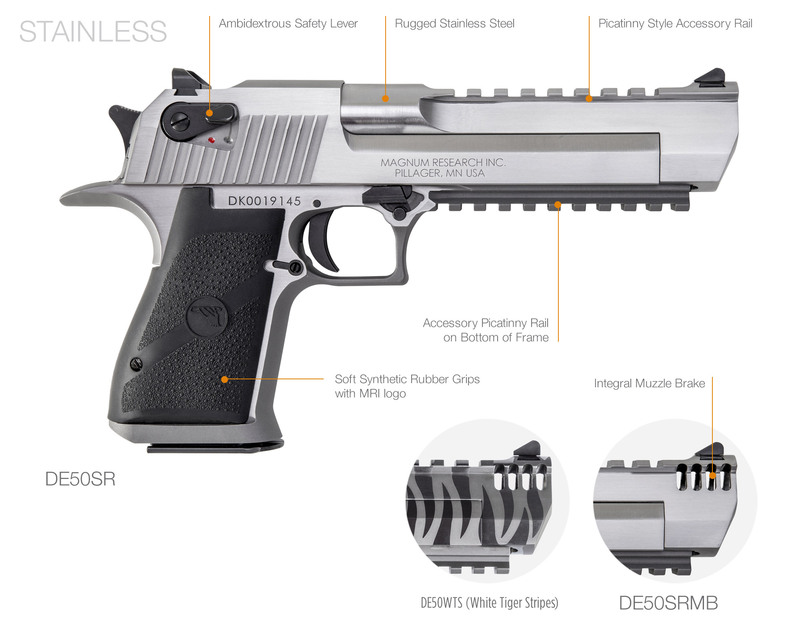 The Mark XIX Desert Eagle is a gas-operated, semi-automatic pistol with a 7 round capacity in .50 AE and 8 round capacity in .44 Magnum. 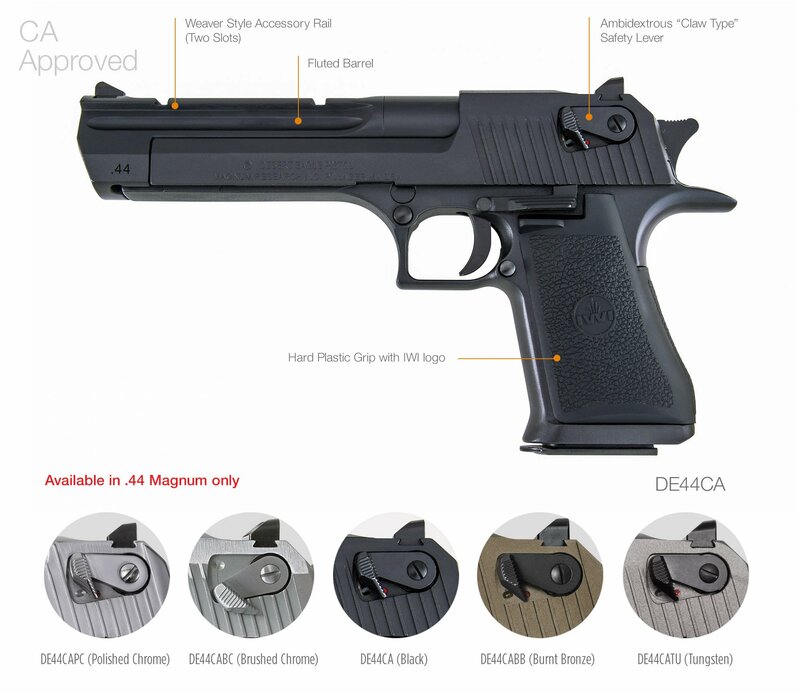 The gun measures 10.75” in length with a 6” barrel, or 14.75” in a 10” barrel available in black as an aftermarket item. 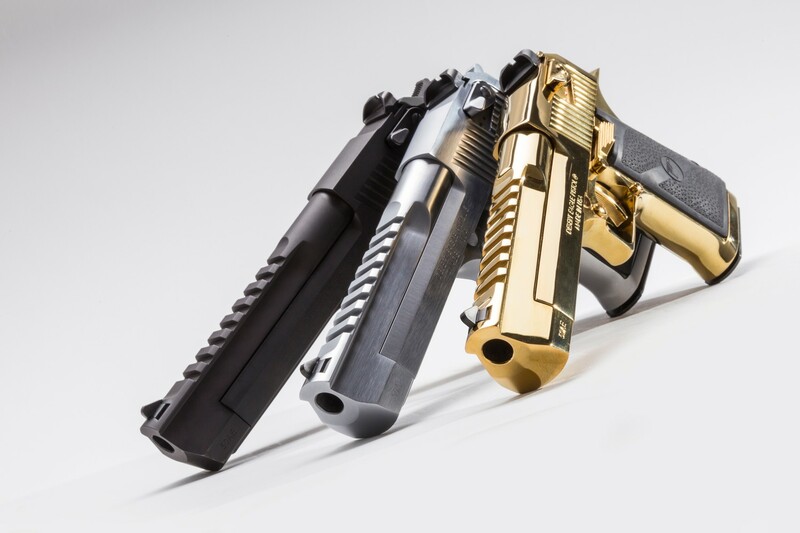 Width is 1.25”, height 6.25” and the weight with an empty magazine is approximately 72 ounces. 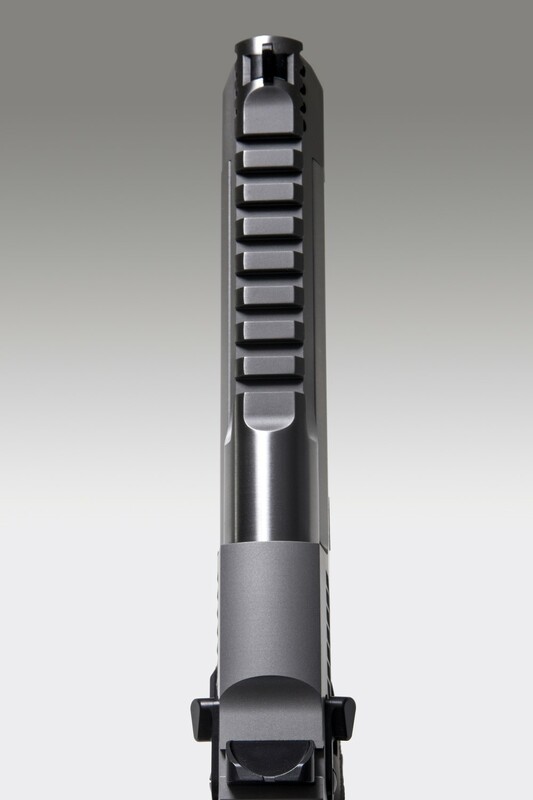 It has a trigger reach of 2.75” and a sight radius of 8.5” with the 6” barrel. 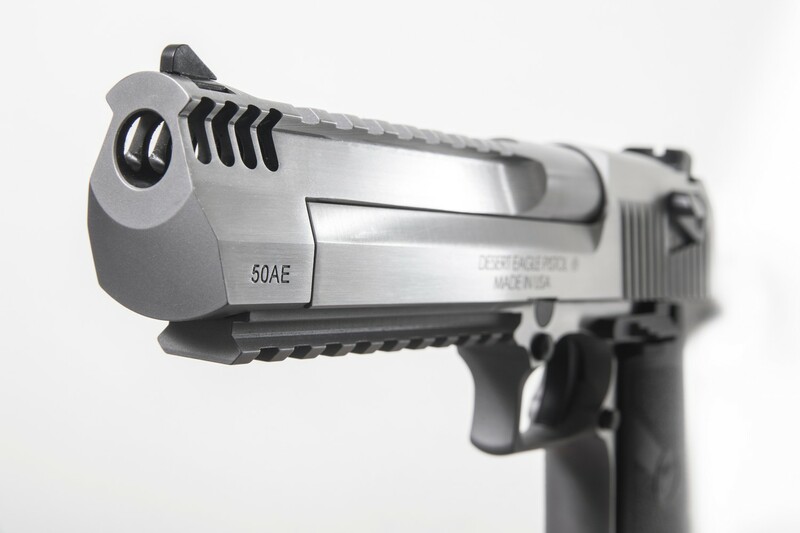 The construction of the Mark XIX Desert Eagle utilizes the latest CNC machine technology providing exacting specifications with tight tolerances creating a work of art in a precision firearm. 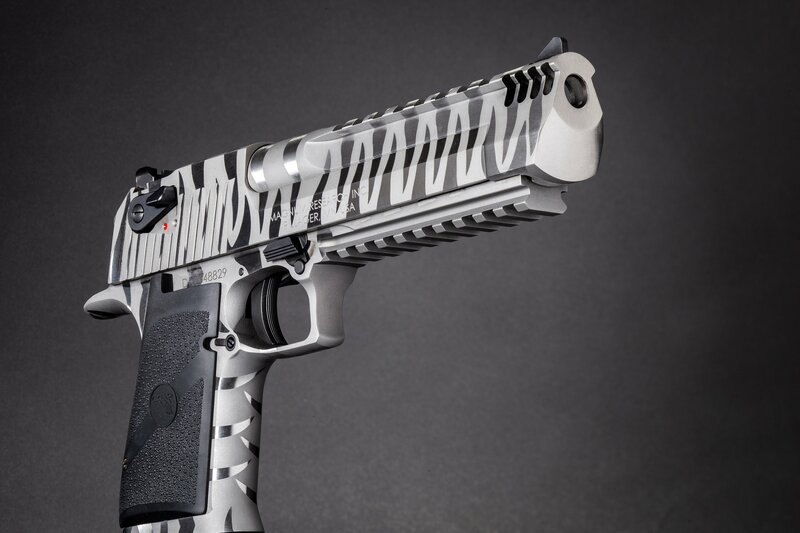 The grip is anatomically formed and provides an ideal hand seating angle for two-handed shooting allowing for comfortable, rapid and accurate firing. The picatinny style accessory rail easily allows for aftermarket optics and scope rings.